As well as regular dental check-ups, regular dental hygiene visits are essential to maintaining good oral health. Your dentist will advise you on the best length of appointment for you, which will depend on how much work needs to be done. Generally it is recommended you attend a dental hygiene appointment every six months, although in some cases more frequent visits will be necessary. At a hygiene appointment we will thoroughly clean your teeth to remove any stubborn plaque or tartar, which if left untreated can cause gum disease. Most people will experience gum disease at some point in their life, and like many conditions the quicker it is spotted the easier it is to treat. The early form of gum disease is known as gingivitis, with symptoms including bleeding when you brush your teeth, bad breath, and swollen, tender gums. If you notice any of these signs you should book a dental hygiene appointment straight away. Left untreated, gingivitis can develop into the more serious form of gum disease, periodontitis. 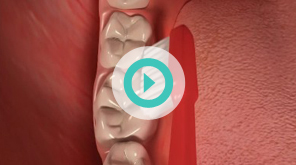 This is one of the leading causes of tooth loss in the UK. As well as thoroughly cleaning your teeth with a scale and polish, at a dental hygiene appointment we will also give you advice on the best home oral care regime. This may include toothbrush types, brushing and flossing techniques, and recommendations for special products such as interdental brushes to clean between your teeth. Good oral health is a team effort, combining regular dental check-ups and dental hygiene visits with a prudent home cleaning regime. To book a dental hygiene appointment, contact the practice today on 0207 274 0455.